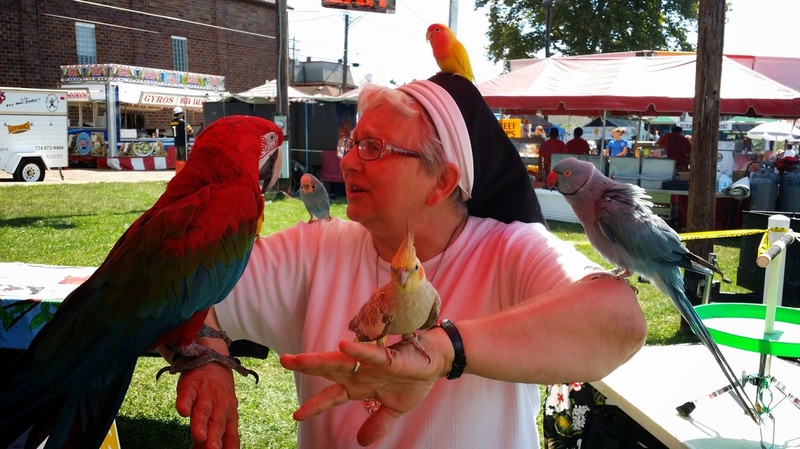 West Newton Community Festival - That Guy with the Birds! First time for That Guy With The Birds being at the West Newton Community Festival and what a blast! Everyone was so nice and we were very well received! There were Pony Rides, a petting zoo and even a costume/pet parade! Couldn't have asked for a better day weather wise as there wasn't hardly a cloud in the sky! We'd like to thank the West Newton Community Festival committee for inviting us and of course the fine folks of West Newton for making us feel so welcome. Please enjoy the slideshow of pictures below & we hope to see you all next year!